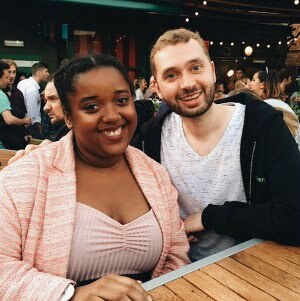 I recently took part in Money Supermarkets Charcoal Challenge where bloggers had to host a BBQ on a budget of only £50. I hosted a BBQ with some of my family and as I don't actually have a garden it was held inside which is something I've never done before! I did a big shop with my sisters when I held my BBQ. Two of my favourite shops for good bargains are both Asda & Morrisons so we decided to split the food shopping up. As it was an inside BBQ I decided to get a pan from Asda for only £8.00 which was a really good bargain, Ally used our older sisters pan when she held her BBQ but I decided to actually buy my own as I knew it would come in handy for future BBQ's too. We also picked up some other bits for starters which they had a lot of and not to mention their reduced section is always filled with the best goodies. We made a really big salad and I managed to find some really nice reduced prawns and cheese which really topped off the whole salad. Asda has to definitely be one of my go to shops for little party snacks/food. Thank you to Money SuperMarket for letting me take part in this challenge, I had a blast!